The Francis T. Maloney High School Instrumental Music Department is based on the principles of pride, musicianship, respect and overall excellence within the performing arts. The program is dedicated to the development of character, leadership skills and life skills through artistic development and training. 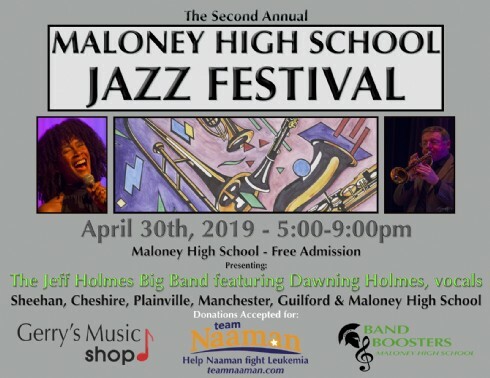 4/30/2019 - The Maloney Jazz Festival! 5/14/2019 - Stage Show - Through the Ages 2!